MCDPH's mission is to improve the health and well-being of people. MCD Public Health is committed to bringing people and organizations together for collective impact. 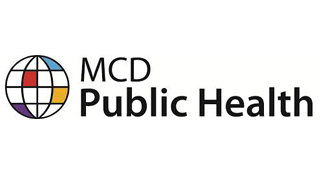 Over the years MCD Public Health has been a transforming force in public health, earning a reputation for responsive, innovative health initiatives that result in meaningful change. Our track record includes notable accomplishments in rural health, quality improvement, and development of new initiatives to address identified gaps. Get in touch with MCD Public Health. Kala Ladenheim and Kathleen E. Perkins (MCD Public Health) describe how Healthy Maine Streets is successfully wiring health into downtown development and creating advocates and enthusiasts among downtown cultural leaders. Elizabeth Foley (MCD Public Health) shares lessons learned in working collaboratively to impact population health, noting that public health institutes have a unique role in fostering better health by acting as translators, brokers, and trainers. Kala Ladenheim and Kathleen E. Perkins (MCD Public Health) describe the Healthy USA tool for facilitating worksite and community wellness in the context of economic development initiatives.